Oftentimes, federal agencies such as the United States Department of Defense (DOD), Department of State (DOS), General Services Administration (GSA), and others use International Code Council codes and require them to be followed in the construction of new and renovated structures. The DOD, for example, constructs and operates thousands of buildings — commercial, office and residential in nature — to support the equipment and personnel of the armed forces, both within the U.S. and in foreign countries. 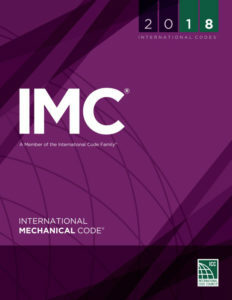 In these cases, the DOD requires the use of the International Mechanical Code (IMC) when it requests bids to construct, renovate or maintain heating, ventilation, and air conditioning (HVAC) systems for properties and facilities. The building managers and operators also use the IMC to inform their maintenance and upkeep of the HVAC systems in the buildings to ensure the safety and comfort of federal employees in the buildings, as well as members of the public who may utilize the buildings. The Unified Facilities Criteria (UFC) system is prescribed by MIL-STD 3007 and provides planning, design, construction, sustainment, restoration and modernization criteria, and applies to U.S. military departments, the defense agencies, and DOD field activities in accordance with USD (AT&L) Memorandum dated May 9, 2002. The UFC system is applicable to all service elements and contractors involved in the planning, design and construction of DOD facilities worldwide. Where conflicts in requirements appear between the UFC and other applicable codes or laws, the most restrictive requirement will govern. The UFC are living documents and are periodically reviewed, updated and made available to users as part of the U.S. Armed Services’ responsibility for providing technical criteria for military construction. Headquarters, the U.S. Army Corps of Engineers, Naval Facilities Engineering Command, and the Air Force Civil Engineer Center are responsible for administration of the UFC system. Technical content of the UFC is the responsibility of the cognizant DOD working group. UFC Section 3-410-01 (Heating, Ventilating, and Air Conditioning Systems) provides requirements for the design of facility heating, ventilating and air-conditioning systems. 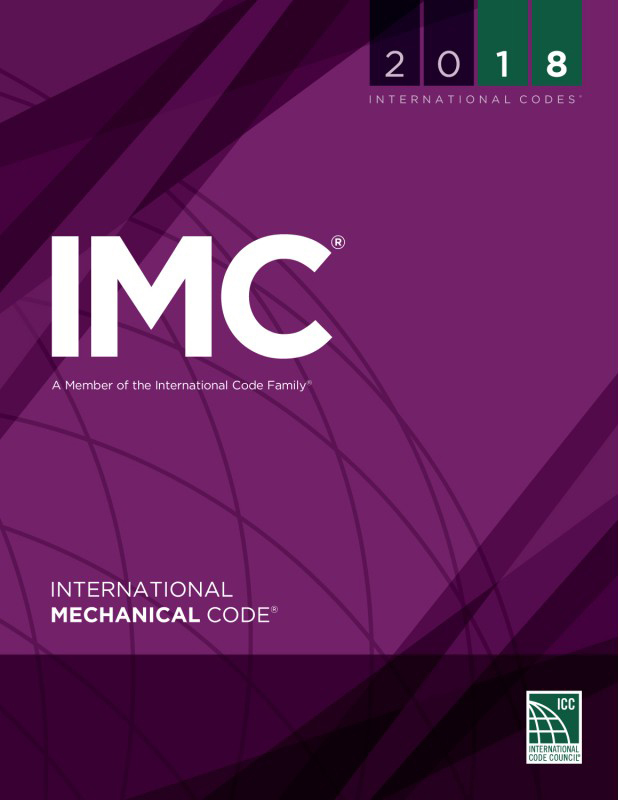 It incorporates the provisions of the International Code Council’s IMC and ASHRAE design guidance to the greatest extent possible. This UFC is to be applied in conjunction with the core mechanical UFC 3-401-01. Unifies DOD facility HVAC criteria and create more consistency in DOD designs. Provides standardized guidance for facility HVAC design among the U.S. Armed Services. Updates existing criteria to reflect new and revised industry standards. Provides more detail on documentation requirements for design analysis and drawing requirements. Incorporates lessons learned from issues that occurred in previous construction contracts. The DOD uses the IMC as the primary voluntary consensus standard for DOD facility HVAC systems. The DOD also uses the International Building Code (IBC) as the primary voluntary consensus standard for the DOD Building Code (General Building Requirements) and the International Plumbing Code (IPC) as the primary voluntary consensus standard for DOD facility plumbing systems. The fact that these codes work together provides standardized guidance for facility HVAC design among the services. As a result, better public safety, better fire prevention, reduced design problems and reduced construction costs are provided. Charles Lee Clifton is the senior director of plumbing, mechanical and fuel gas resources for the International Code Council, and serves as the staff liaison for the PMG Official Membership Council. He has more than 40 years of experience in the plumbing, mechanical and fuel gas industry. His career began as a second generation plumber, working for his father at Clifton Plumbing Inc., in Tampa, Fla. He retired from the city of Los Angeles in 2007 as a principal inspector after 21 years of service.